First, I am sharing what I have learned with those who already use the flags. I give careful attention to highlight uses of flags or banners in the Bible and to show how those uses are applicable to believers today. I hope to increase or support your understanding on how to use them. I hope this book will be a credit to what flag bearers do in the Church. 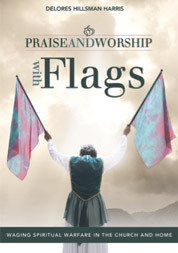 Second, I am informing pastors and church leaders that praise and worship with flags are beneficial to the Church. I encourage church leadership to support their use during worship services. Flags have a biblical purpose to fulfill in the Church. Third, I am encouraging others to use the flags at home. This book includes some practical exercises for those who want to get started. Fourth, I give information that may increase the understanding, praise, and worship of those who might never use the flags.